to further enhance your spa. In addition to our hot tub and JetPaks® options, Bullfrog Spas of Oklahoma City also offers a complete line of spa products, covers, and hot tub accessories. 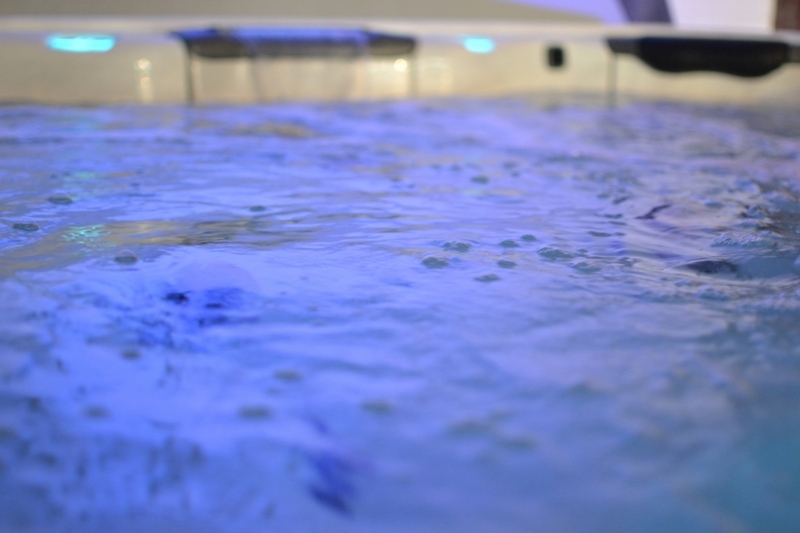 From hot tub covers and chemicals to our hot tub stereo system, our Oklahoma City hot tub showroom has everything you need to maximize your spa experience or lengthen the life of you Bullfrog Spa. To learn more about our great hot tub accessories, or to order any of the above items, visit us at our Oklahoma City showroom. Bullfrog Spas is determined to allow you to personalize your spa experience. This doesn’t just apply to our JetPak Therapy System, but you will also be able to pick from a wide range of beautiful colors to suit your landscape, home and personal preferences. Pick the spa shell color you would like and make your hot tub an accurate expression of your style. Snow is sleek and modern. It’s very popular in Europe. Snow improves the mood of your hot tub experience by using colored hot tub lighting. Snow looks amazing with Driftwood cabinets. However, it looks good with all cabinet colors Bullfrog Spas offers. Titanium is a stunning silver hue that has a hint of metallic lustre. This color of shell compliments the stainless jets well. This color looks great with the Slat and Ivory cabinet options and it looks nice with Driftwood. Pearl is a warm color that has a deep rich glow. Pearl compliments any warm landscape or color scheme. Pearl is an easy color to maintain and it accentuates the contours of any Bullfrog Spa really well. The cabinet color that is really popular with Pearl is Hazelnut. Granite is a light stone hot tub color that combines subtle warm and cool mineral accents with a bright base. It fits with any cabinet color and is a neutral tone overall. Granite is especially nice when matched with a Chestnut cabinet to achieve a classic coastal hot tub look. Cloud is an attractive marble color that combines contrasting grey tones to create an incredible look. 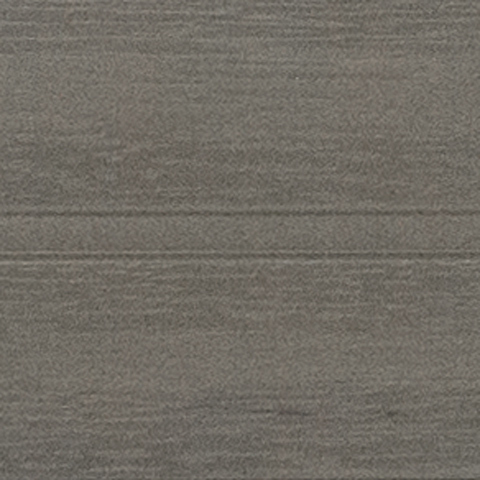 This is an absolutely gorgeous color that pairs very well with Driftwood and Slate cabinets. Both weather and UV-resistant, EternaWood™ assures your cabinet will be maintenance free service for years to come. No staining required! Choose from 3 stylish EternaWood™ hot tub cabinet colors. Slate is also only available on premium cabinets. The flat, modern slat design is very popular in home design these days. Slate’s cool grey tone is a great way to make your spa seem clean and fresh. Slate works especially well with Snow, Platinum, and Midnight. Orchard looks equally at home in a modern and traditional setting. It is a rich premium cabinet with the luxurious look of hardwood. Orchard pairs well with warmer tones like Midnight or Pearl but looks even better paired with neutrals and cooler tones like Cloud, Granite, and Platinum. The grey undertone of Timber is at once modern and classic, while the subtle warm earth tones help you tie into most contemporary and vintage looks. Timber is a gorgeous premium cabinet option that is at home in nearly any setting. Like all of our premium cabinets, Timber looks incredible in modern settings from stylish urban lofts to cozy mountain retreats. Timber looks incredible with cool tones like Titanium, Cloud, or Platinum, but can be coordinated with all interior options. *Premium A Series cabinets not available on R Series or X Series spas. **STIL cabinet options only available on STIL spas. Driftwood makes anyone reminisce about their favorite seaside vacations. It looks really nice when used alongside with Snow, Midnight, and Platinum. 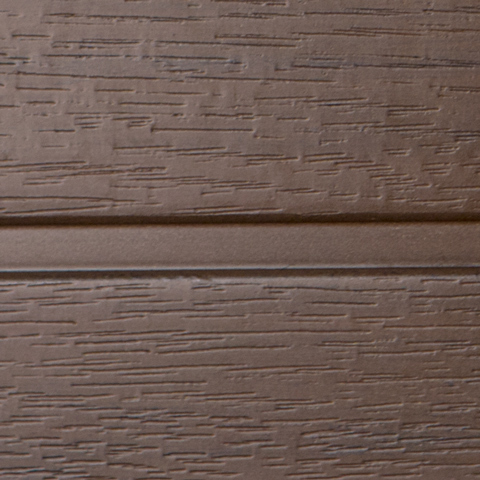 Chestnut is a medium brown wood-tone that works well in nearly any setting or situation. Pair it with warmer interior colors like Pearl, Midnight, or Sunset for a rich look, use it with cooler tones like Titanium, Platinum, or Cloud for a touch of the modern, or combine it with a mineral-accented color like Granite for a traditional look. Harbor Grey is a coastal inspired gray tone that looks especially great with platinum X Series spas. Mountain Walnut is a beautiful medium warm toned cabinet color that looks especially great with Sunset and Midnight colored X Series spas. WiFi Module: Control your spa with a handheld device. CloudControl: In addition to other premium spa controls, we offer the unique ability to control your hot tub from anywhere with an Android or iOS smart phone app. There are several different options for remote spa operation, including control of heating and jet functions as well as certain spa security monitoring functions. Spa audio systems: We are offering Bullfrog’s exclusive stereo systems at our Oklahoma City store. Bullfrog’s 100% waterproof stereo systems utilize premium components to produce rich sound quality. These marine-grade stereo units are compatible with iPod, iPhone, Android phones and nearly all MP3 players. Your integrated spa stereo further personalizes your spa experience by allowing you to choose ultimate soundscape for relaxing in your Bullfrog Spa. Our Elite Stereo System provides top-quality sound to enhance your spa relaxation experience. The Elite System’s powered sub-woofer combine with dedicated 4-8 waterproof speakers located throughout the spa in each premium seat to produce a smooth rich sound wherever you happen to be seated in the spa (optional out-facing yard speakers). It is Bluetooth compatible, USB, iPod, iPhone, and 3.5mm MP3 player inputs and has FM tuner with saved presets and comes with a floating remote control. Bullfrog’s Life Audio System is a spa audio system that sounds great at an affordable price. Play your favorite music from your iPod, iPhone, Android Phone, or MP3 player. It comes with 4-8 waterproof in-spa speakers and passive sub-woofer and features 3.5mm input. Our Sport Audio System is perfect for adding relaxing tunes to your spa experience. This is a basic waterproof sound system for our entry level SportX Series spas. To learn more about adding an entertainment system to your hot tub, visit us at our Oklahoma City showroom. Buying a hot tub is a major investment for you and your family. Hot tub covers are a necessity to protect your investment. Protect your investment & visit Bullfrog Spas today. Hot tub covers: To protect your hot tub, as well as keeping animals and small children from falling into a spa, get an original Bullfrog Spa Hot Tub Covers – available at Bullfrog Spas of Oklahoma City. These hot tub covers are made from tough, durable materials that insulate your spa for maximum energy efficiency. The cover also has locking clips which add the security of keeping your spa locked when not in use and come in two colors, Graphite and Sienna. We also offer non-Bullfrog spa covers in different price ranges and color options from basic to premium-and are happy to custom order a hot tub cover for whatever brand you are looking for. CoverMate II Understyle: This understyle bracket allows you to rest the hot tub cover lower against the side for a less obstructed view. Rust-free construction with a black powdercoated. Understyle bracket is perfect for plastic-skirted spas. Fits virtually any hot tub up to 8 feet in width. Cover-lifter: The simple design of the Bullfrog hot tub cover lifter provides convenience and functionality. Lift the spa cover and enjoy relaxation in just a couple of seconds. It also functions as a great privacy wall while you are in your hot tub. Safe-T-Rail and Rail Stand: This device slides under the hot tub to eliminate mounting the Safe-T-Rail to the hot tub cabinet. Keep your hot tub water clean & clear with the right maintanance care. Visit Bullfrog Spas for our complete line of parts & water care. Bullfrog Spa parts: Should you need a replacement part for your Bullfrog Spa, or want to try a new JetPaks® system, we gladly order and install any hot tub part for you. DuraSteps: Create safe and easy access to your Bullfrog spa with the rubber non-slip surface and durable plastic construction. We offer the DuraStep spa steps available in the colors matching your spa frame at our Oklahoma City location. Chemicals: We offer the Silk Balance™ water care system which is extremely effective at providing continuous pure water and actually makes it difficult for bacteria to grow. Using a unique technology called BioFilmDispersion Technology that inhibits bacteria growth, Silk Balance™ eliminates the food source that bacteria needs to survive. The all-natural formula works immediately to adjust pH, alkalinity and calcium hardness to levels just right for your hot tub. This water care system is the purest, easiest method for maintaining water and it is gentle on the skin. WellSpring High Output Ozone: Features Corona Discharge Electrode Technology that consistently helps to keep your spa clean and even reduces the amount of chemicals needed in your spa. WellSpring Filtration Pump: This programmable filtration pump improves water cleansing performance with quiet and vibration-free operation. EcoOne Hose Filter: Is an advanced hose filter that will reduce common water contaminants before they enter your hot tub. You can purify up to 40,000 gallons of water. Connects to your garden hose. Purifies up to 40,000 gallons of spa water. Removes 90% of the chlorine. Removes 98% of the metals. Works with well or city water; soft or hard. Spa Frog Filter Frog: The Spa Frog offers an approach to mineral hot tub care that fits right in your filter. This unique design will draw water in through the openings of the cap and circulate it through the filters mineral formula for greatest effectiveness. A simply supplement with a low level of bromine or chlorine.